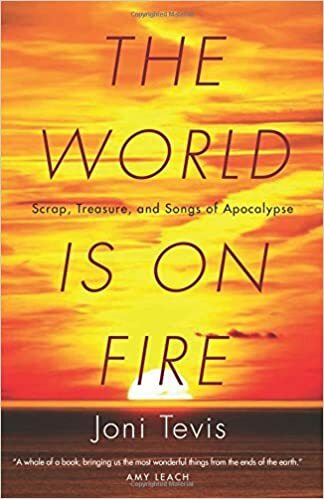 The sermons of Joni Tevis’ youth filled her with dread, a sense “that an even worse story—one you hadn’t read yet—could likewise come true.” In this revelatory collection, she reckons with her childhood fears by exploring the uniquely American fascination with apocalypse. From a haunted widow’s wildly expanding mansion, to atomic test sites in the Nevada desert, her settings are often places of destruction and loss. And yet Tevis transforms these eerie destinations into sites of creation as well, uncovering powerful points of connection. Whether she’s relating her experience of motherhood or describing the timbre of Freddy Mercury’s voice in “Somebody to Love,” she relies on the same reverence for detail, the same sense of awe. And by anchoring her attention to the raw materials of our world—nails and beams, dirt and stone, bones and blood—she discovers grandeur in the seemingly mundane. strapless ball gown the color of winter wheat. She’ll stand there the whole time, swaying gently, looking over your shoulder at America and wearing a little smile that says there is nothing better than this, to be here in this place, young, feeling this song in your body, warm inside the theater while outside the wind blows, louder and louder, sneaking its way in through any crack it can find and shrieking now in your ear, higher and colder and harder and harder until finally it stops. Amen!